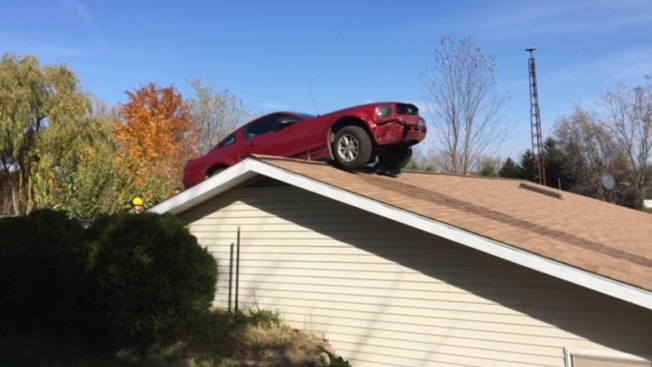 A Ford Mustang is perched on the roof of a house in Woodhull Township, Michigan, Oct. 26, 2015. State police say the driver had a medical problem and lost control of his car on Interstate 69 in Shiawassee County. When Joyce Kingsley heard "kaboom" while at her Michigan home, she immediately thought about extreme weather. Kingsley's home about 20 miles northeast of Lansing is built next to a hill, and the roof is nearly level with the ground, The Argus-Press of Owosso reported. "I was just watching TV inside. I had it up pretty loud — but this was much louder," Kingsley said. State police said the Mustang went through several bushes, trees and a fence before stopping on the roof. The driver was treated for low blood sugar but wasn't hurt. 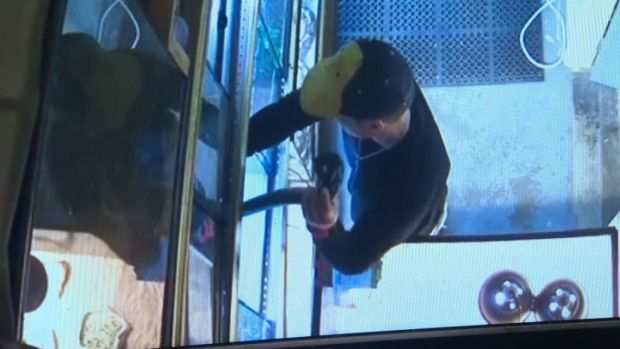 "The driver is extremely lucky," Trooper Ben Rowell said. "It could've been a lot worse," she said. "I'm glad everyone is all right."